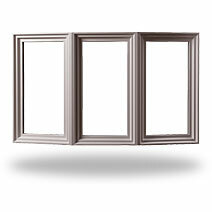 Bay and bow windows are larger in area than regular double hung or casement windows. Both allow plenty of light to enter the home. Bay windows consist of large central pane that protrudes out from the side of the home, flanked by smaller side windows. Because the bay window extends out from the home it allows a room to be transformed both physically and in the amount of light that is allowed in to the interior. In many cases, the smaller windows at the sides of the bay window can be opened to allow ventilation. These types are mostly used for kitchens and living rooms but can be applicable for almost any room in the home. Bow windows are similar to bay windows, but usually consist of four or more equal size panels to create a more even and gentle curve. The panels of a bow window usually open via a cranking mechanism like a casement window. 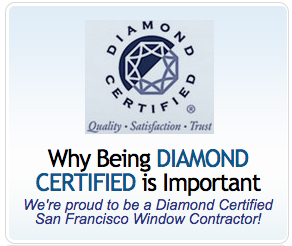 Click on a link below to explore other window styles we offer in the San Francisco Bay Area. Which replacement window is best for your Bay Area home? We’ll be glad to discuss the options with you. Call us toll-free 1-800-728-3878 for a FREE in-home estimate.